Growing Green Onions indoors is so easy! 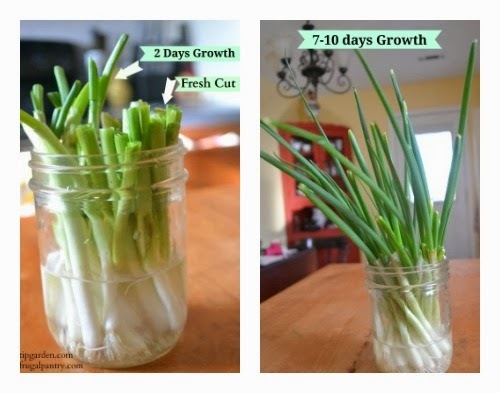 In less than 2 weeks you can regrow your own bunch of green onions! 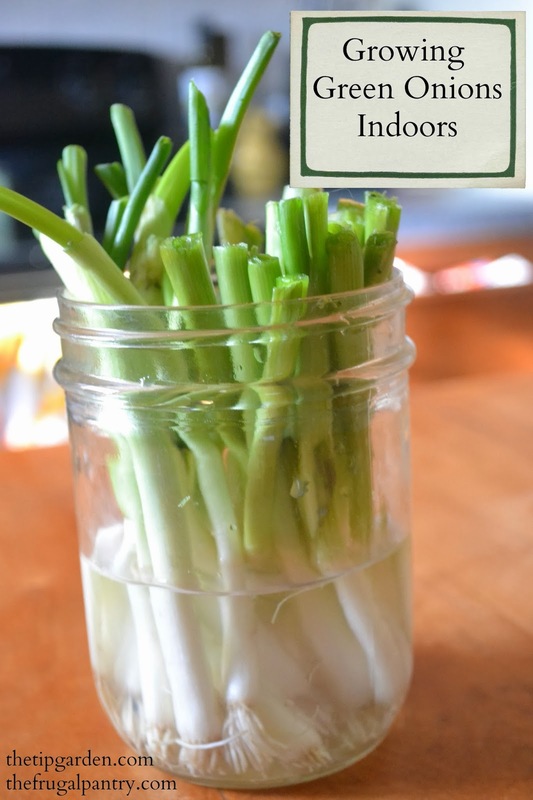 In a previous post I showed you how to freeze green onions, and in my next post I'll show you how to dehydrate green onions, but today I'm showing you how easy it is to keep growing your own, right in your kitchen window. Usually I use as much of the green onions as possible, but if you only want to use the green parts then consider saving the bottoms (the white part) to keep growing your own. Place in a glass with some water and leave in a sunny spot. Within about 12-14 days you'll have a whole new bunch of green onions to use! I have regrown mine several times and I honestly don't know how long you can keep growing them on one stock. If you do this too, how long does yours last?